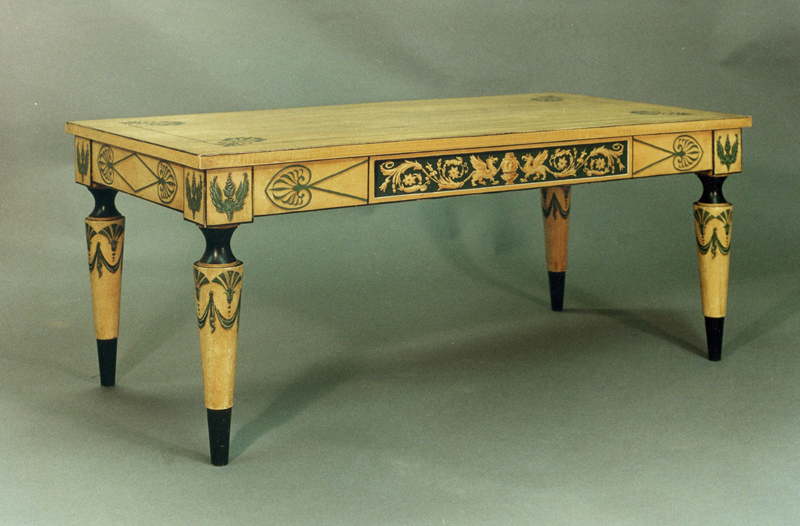 This Baltimore style table is based upon a similar table in the American Wing at the Metropolitan Museum. 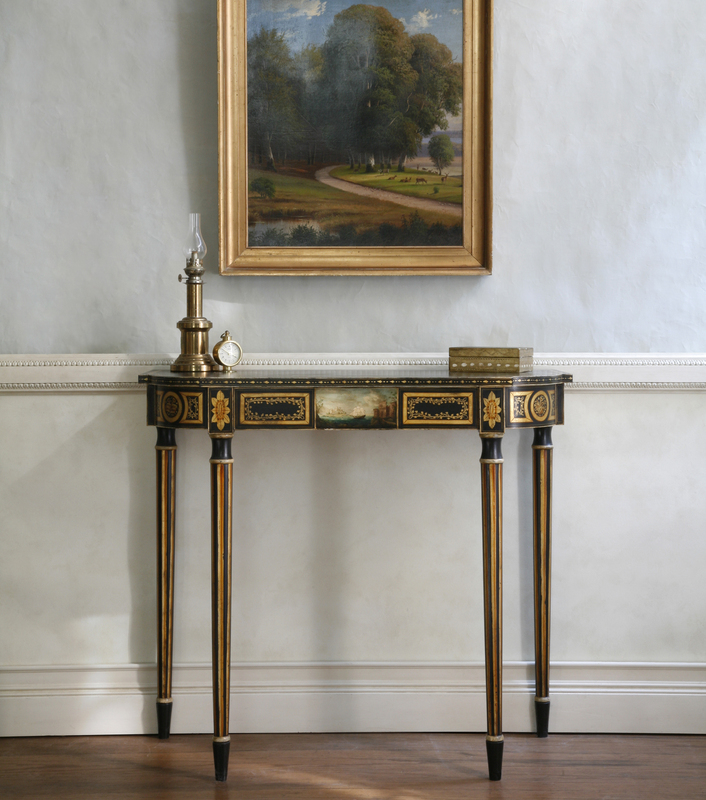 The most notable difference is that the original model is a games table, whereas this side table is taller, with a drawer concealed in the frieze. 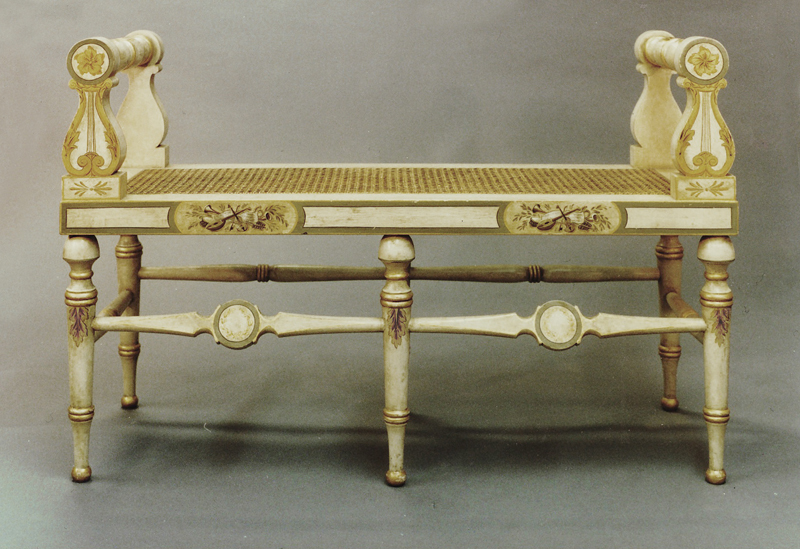 The table is shown below with a pair of Philadelphia chairs of klismos form, in the Classical style. 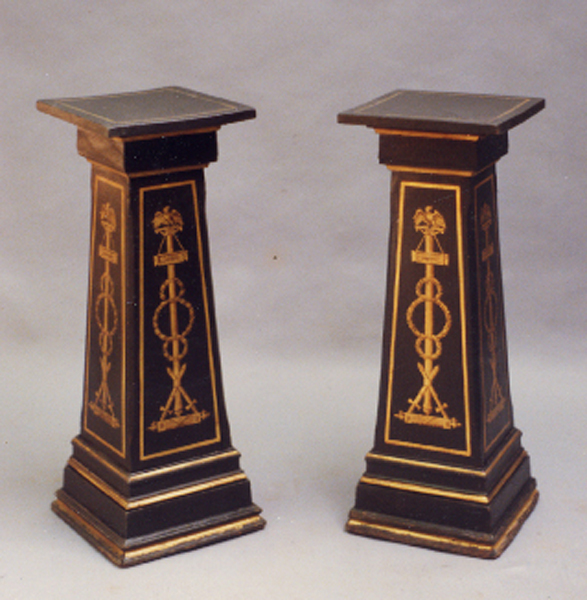 For more on the Philadelphia chairs, see the entry for Chairs, Mirrors, and Other Furniture in the navigation bar at right. 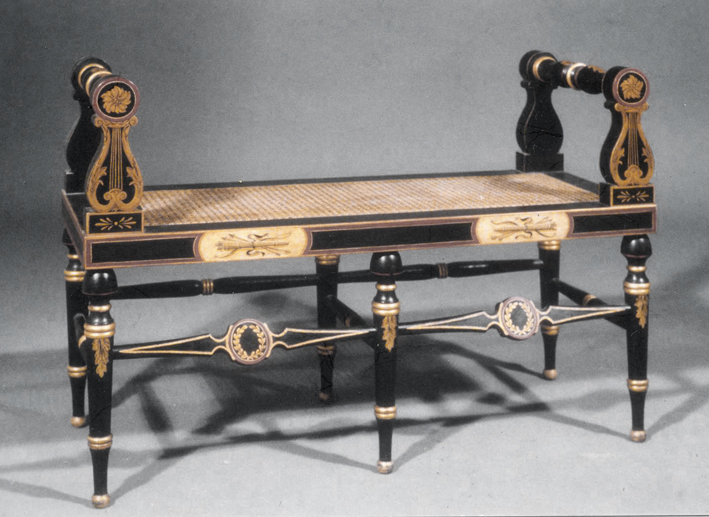 This table is a replica of the table at the Winterthur Museum. 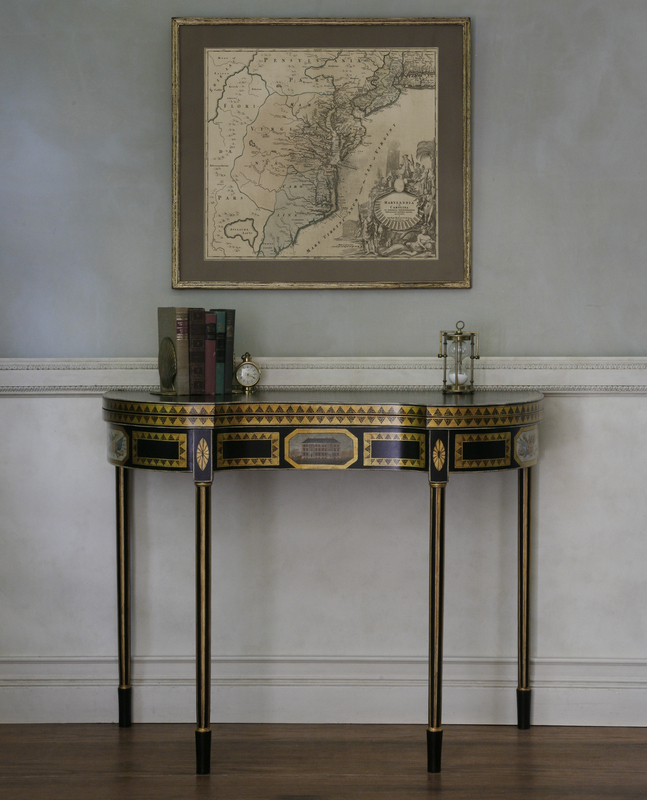 It was built by the owner, Dan Santos, who also provided the documentation for my use to complete the surface decoration. 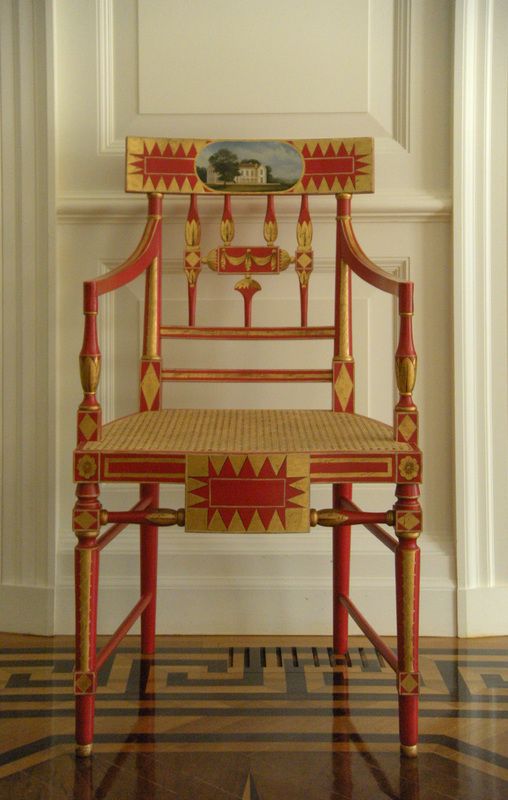 The chair shown above is one from a set of ten; each chair has a different “house portrait” painted on the back. 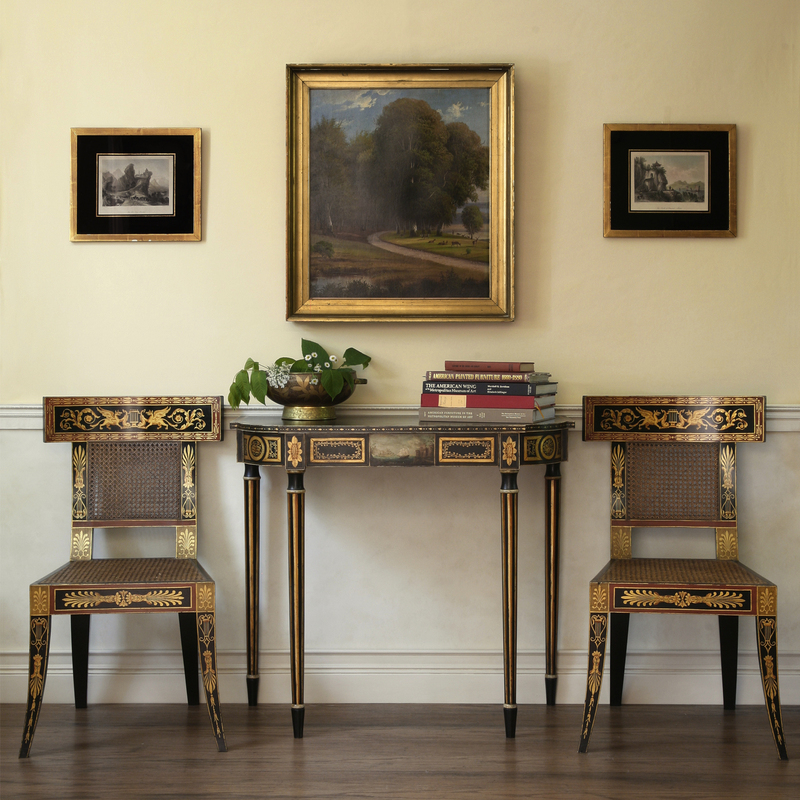 The images were painted in a somewhat naive style, in an attempt to replicate the look of the original antique furniture from which they were taken. 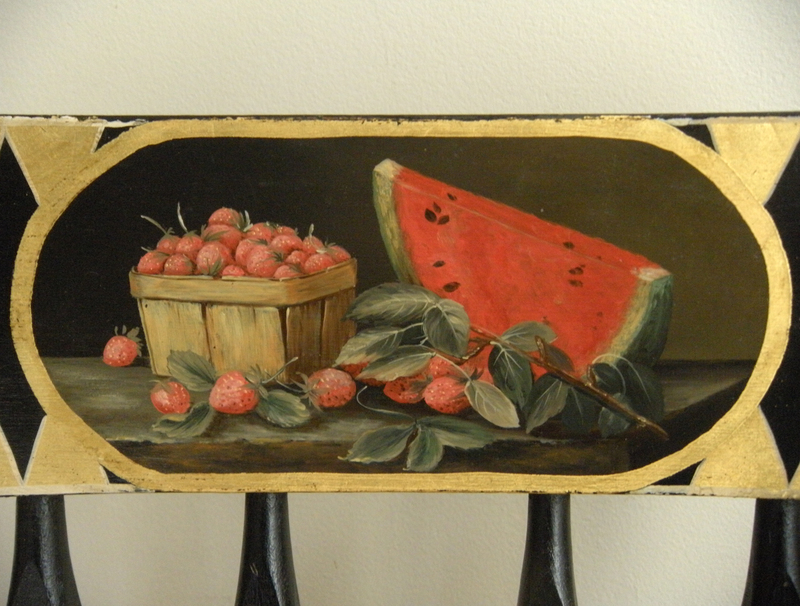 The detail above shows a different treatment for the back of another Baltimore armchair.